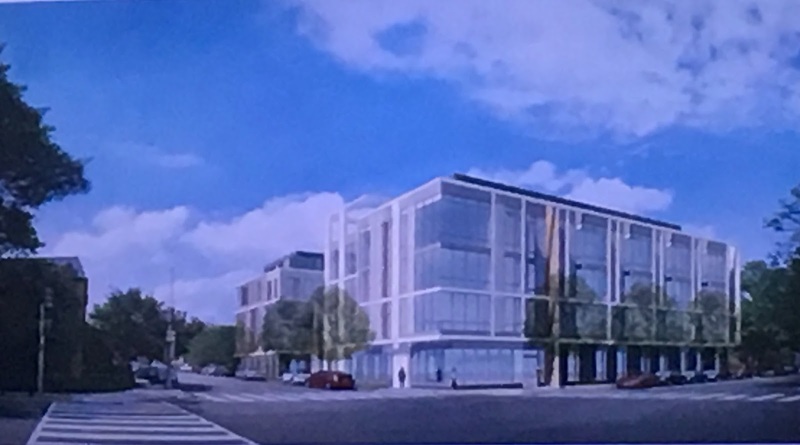 One year after withdrawing their Planned Unit Development (PUD) application for The Bard, Shakespeare Theatre Company (STC) and Erkiletian Development, the team behind the redevelopment of the Southeastern University site at 501 I Street, are trying again to get their project approved by the Zoning Commission. The original PUD was withdrawn after the District Office of Planning recommended a set-down hearing not be scheduled for the project since the proposal was inconsistent with the Comprehensive Plan or the Southwest Neighborhood Plan. 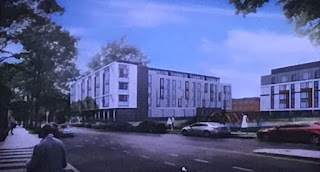 The newest development proposal for The Bard, presented at the June 22 community meeting, reduces density by more than a third from the previous design to a Floor Area Ratio (FAR) of 2.89 and shortens the height to a four-story building with a penthouse level set back 11 feet on all sides. In addition, the number of apartments has been reduced to 112 units, with 27 of them set aside for use by STC as actors’ and fellow housing. 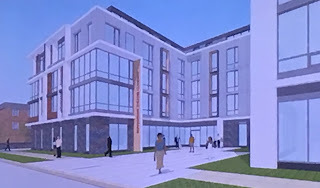 The design of the main building will be in the shape of the letter C and the annex building on the north side of the site will no longer have a ground level connection to the main building. However, an underground connection will remain. 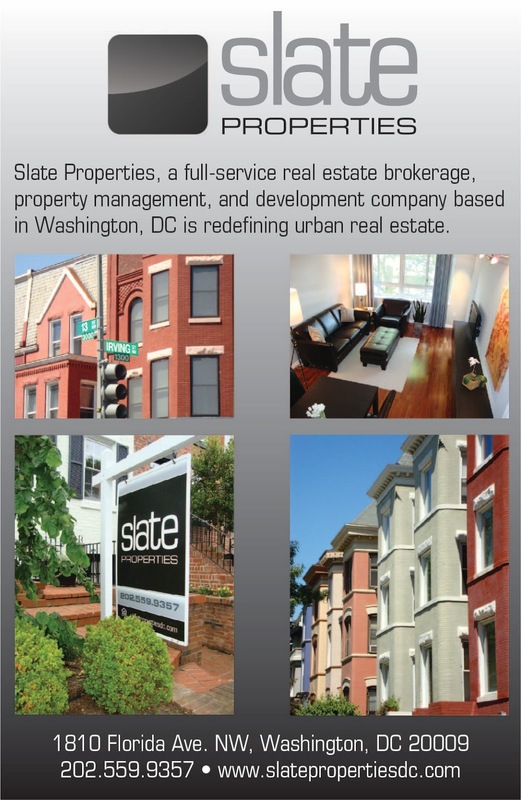 Shalom Baranes Associates has designed the project. On the ground floor of the main building, there is space set aside for Shakespeare’s administrative offices and seven actors’ housing units, as well as the lobby of the rental apartment building and amenity space. The entrance to Shakespeare’s portion of the building will be located off a courtyard facing 6th Street. A water feature and landscaping will fill out the courtyard. Meanwhile, the lobby entrance to the rental apartment building will be along I Street. 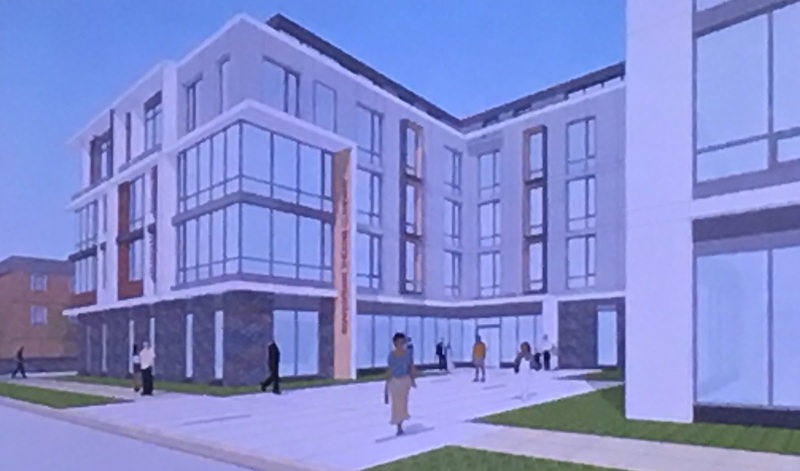 Shakespeare will have its costume design shop and rehearsal space in the basement level along with a 39-space parking garage (17 spaces would be used by STC) and storage for 70 bicycles. Floors two through four of the building will contain 75 rental apartments and an additional 10 units will be located on the penthouse level. Each of the penthouse units will have private terraces. 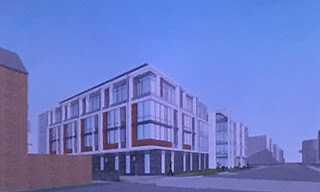 The annex building on the north side of the site will contain five duplex units for fellows and 15 additional actors’ apartments on the upper three floors. 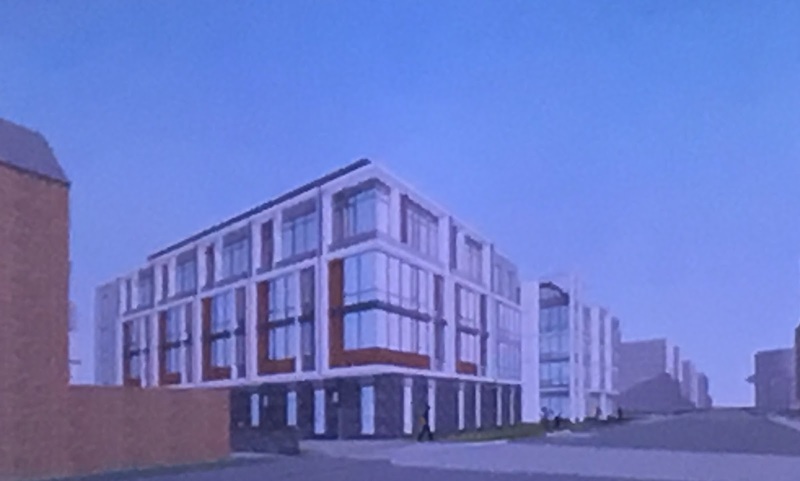 Despite the reduction in density and height from previous versions of the plan, the development team is still requesting a zoning change to accommodate the project, which has been a sticking point with the surrounding neighbors who live in townhomes. There has been strong opposition to the project from those who live closest to the site – one went as far as creating a blog to vent her frustration with the development process. A group of neighbors have collected more than $20,000 to hire an attorney to oppose the project as it goes through the PUD process. They also engaged a firm to design an alternative development plan for the site. During the community meeting, neighbor after neighbor stated their preference for no changes to zoning for the site and for the developer to build townhomes instead. A petition was circulated around the room to present to the Zoning Commission, maintaining the current zoning for the site, which is R-3. The current zoning permits matter-of-right development of single-family residential uses (including detached, semi-detached, and row dwellings). Over the course of the meeting, several signatures were secured. Sounds/looks like the developers have altered the development plans in what appears to be a real compromise. As a neighbor who supports this project, I hope to one day welcome STC to the community. One thing about the plan, though -- wouldn't it make more sense for the entrances to be reversed, i.e., for STC's entrance to face I St. and the rental apartment building portion to have its entrance on 6th St. since 6th St. is currently more residential in nature? Plus then the water feature of the STC entrance area could sort of "mirror" the fountains of the duck pond across the street.